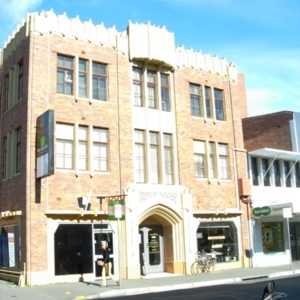 Tags: Art Deco, City Motors, Colin Philip, crenellation, Duncan House, Ford, Gothic, Launceston, parapet, pointed arch, Tas, Tasmania. 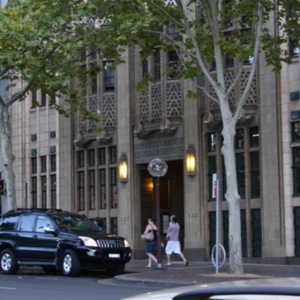 British Medical Association House, Sydney. 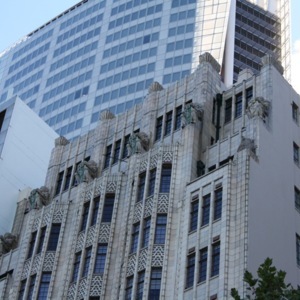 Stone Knights on the British Medical Association House, Sydney. 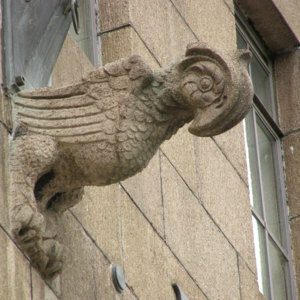 Tags: Art Deco, beasts, Colonial Mutual, Colonial Mutual Life Building, commercial architecture, eagles, gargoyle, Gothic, Hennesy & Hennesy, Hobart, lions, neo-Gothic, sculpture, Stripped Classical, Sydney, Tas, Tasmania. 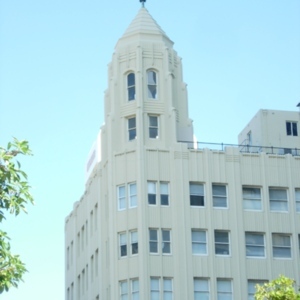 Tags: arched windows, Art Deco, buttresses, Chicago, Commercial Gothic, crenellation, Gledden Building, Gothic, Harold Boas, New York, parapet, Perth, Robert Gledden, tower, Tribune Building, University of Western Australia, UWA, WA, Western Australia.